Jerry Petherick is G4S’s managing director for UK custodial and detention services. Jerry has worked in the prisons sector for more than 37 years and spent 23 in the public sector prison service. He moved 14 years ago to the private sector and is now responsible for G4S’s five prisons in England and Wales. Jerry has previously written on following the evidence to reduce re-offending and how an ageing prisoner population requires different approaches and support. 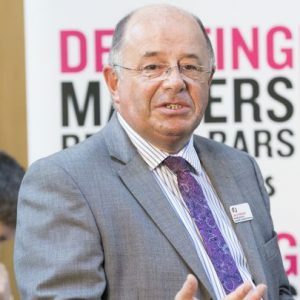 Last year, Jerry teamed up with the IoI to bring their Debating Matters initiative to HM Prison Birmingham in a bid to change the way prisoners engage with education and argue and work through differences.